You've probably come across "hygge" over the past few years, but this Danish concept can be difficult to understand. Pronounced "hoo-ga," it can't be defined by a single word, but rather amounts to an overall feeling of comfort. Think: a well-made bed, layered with cozy comforters and blankets, a cup of freshly brewed tea and your favorite book as a fire roars in the background. That's hygge, and you've probably experienced it without knowing it. 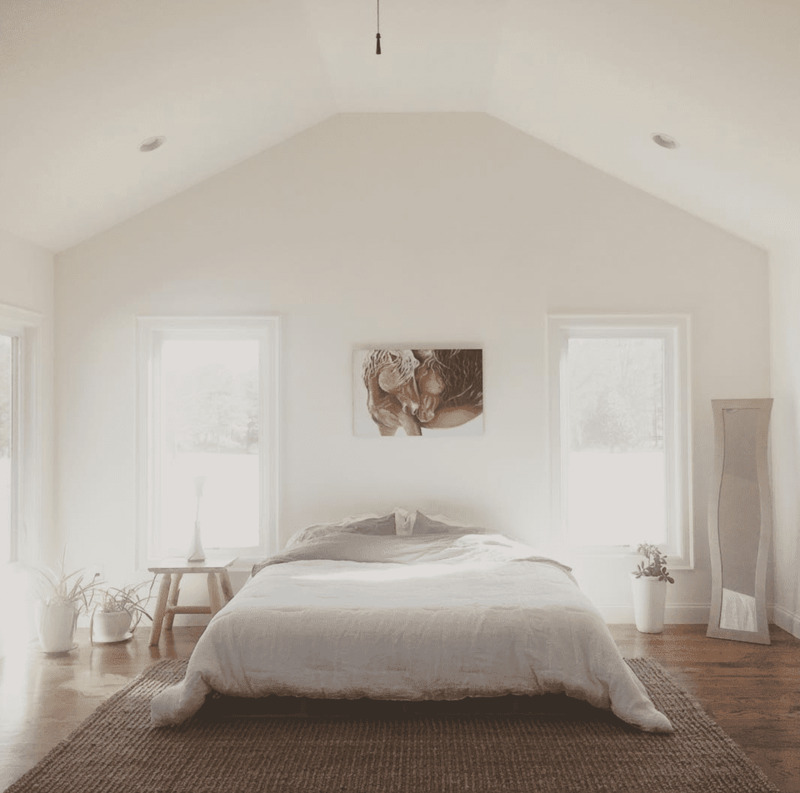 There are many ways to embrace hygge in your own space, but it all comes down to creating a welcoming, warm and restful environment in your home. The best part of hygge is that it doesn't require a large home in order to achieve it. In fact, some of the most "hygge-filled" spaces are small. If you're looking to add a little bit of calming Danish comfort to your small space (this great minimalist all-white bedroom from blogger Mr Kate is a great example), we've got you covered. One of the easiest ways to add a sense of hygge to your space is by flooding it with deliciously scented candles, as seen in this display on Pinterest. Candles are essential to the hygge experience, offering one of the easiest ways to add warmth to a small space. Neatly arrange them on a bookcase, a coffee table or around a drawn bath and you'll see just how the Danes relax. Because hygge originates in Scandinavia, it's no surprise that it rests upon the principle of minimalism in modern style. 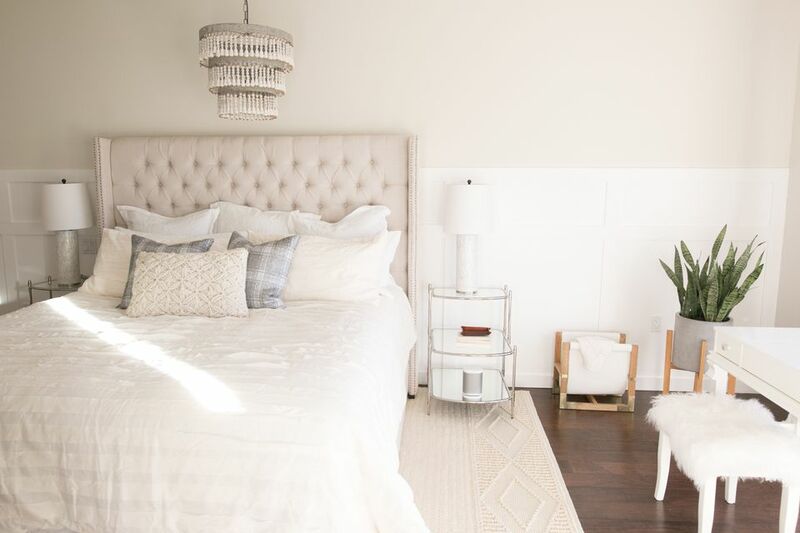 This bedroom, styled by Ashley Libath of ashleylibathdesign, screams hygge because it's uncluttered but cozy, with layer upon layer of fresh bedding. Incorporate hygge into your bedroom in two steps: One, declutter. Two, go blanket crazy. If it's too warm for heavy comforters, focus on light, breathable layers you can remove as needed. As of 2018, there are nearly three million #hygge hashtags on Instagram, filled with photos of cozy blankets, fires, and coffee—and it's clear the trend isn't going anywhere soon. Many of these hygge-friendly ideas are best practiced in winter, but this is one that works well all year long. Greenery can be incredibly soothing, purifying your air and helping to make a room feel finished. Copy this refreshing look as seen on Pinterest with some of these air-purifying plants in your small space for an easy upgrade. In the book "How to Hygge," Norwegian author Signe Johansen offers rich Danish recipes that keep your oven hot and encourage hygge enthusiasts to celebrate the "joy of fika" (enjoying cake and coffee with friends and family). Not hard for us to convince you, huh? It's even easier to create a sense of cozy in a small kitchen, like this adorable one from blogger doitbutdoitnow. Most of hygge is about appreciating the little things in life. Whether it's the best coffee cake you've ever had or a simple conversation with your best friend, you can embrace this concept merely by enjoying every day of your life. A good book is an essential element of hygge, and what better way to encourage daily literary indulgences than a great reading nook? Jenny Komenda from little green notebook created this adorable library. It's evidence that you don't need a lot of space to create a cozy reading area. In fact, a home library is all the more cozy when it's quaint and compact. A common misconception is that to embrace hygge, you need a house full of modern Scandinavian furniture. Though your home should be uncluttered and minimalistic, the philosophy doesn't actually require any furniture at all. This inviting and oh-so-cozy living space from blogger one claire day is the epitome of hygge. If you can't fit any modern furniture in your small space, a few floor cushions (and a lot of hot chocolate) is all you need. Once you've hygge'd your home, you've got a great excuse to stay home and learn a few new crafts. Knitting is one of the most hygge-worthy crafts for small spaces because it's innately cozy and can provide genuine pleasure without a lot of space. If you've never knit before, you can easily learn online from the comfort of your Danish-inspired home. Follow Instagrammers like tlyarncrafts seen here for swoon-worthy inspiration. Doesn't this dreamy daybed as seen on Pinterest make you yearn to curl up with a great book? Add some cafe or string lights to your bed frame or above your reading chair for the full hygge effect. The right lighting can instantly make a space feel warm and inviting, and the best part is you don't need any additional space to play around with this look. Who Needs a Dining Table? If you search "hygge" on Instagram, you'll come across endless photos of people enjoying breakfast in bed. Many small spaces forgo a formal dining table, but when you live hygge, you don't need to gather around a table to enjoy a meal. Consider that permission to curl up in bed with a croissant and a coffee this weekend like Instagrammer @alabasterfox. This Nordic trend is all about limiting yourself to the things that actually bring you happiness and joy. If your small bedroom or living space doesn't allow for a lot of furniture, you can embrace hygge by focusing on clean lines, simple palettes and minimalist furniture like in this simple bedroom from Instagrammer poco_leon_studio. We get that sense of hygge once everything feels just right, and a small space is the perfect canvas for focusing only on the important elements.